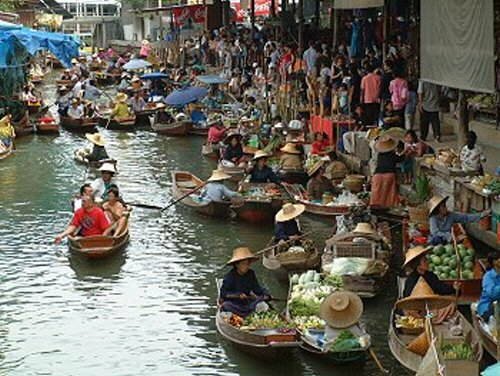 This is the best known destination in Ratchaburi where timeless lifestyle of native Thai people can be observed along the canals. 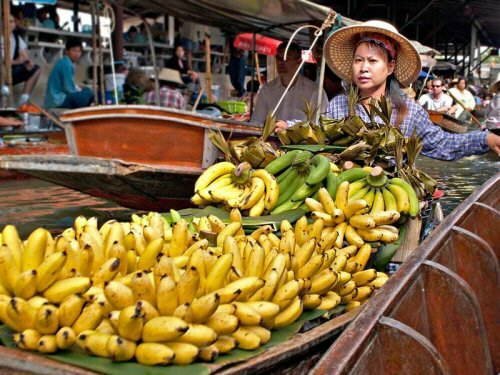 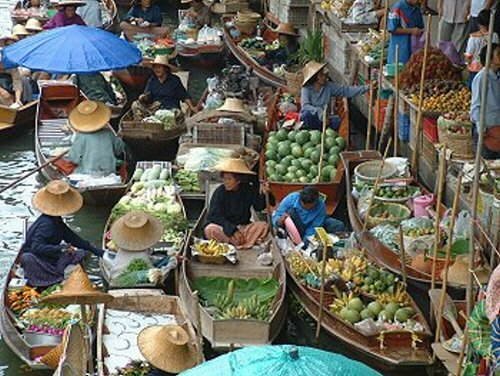 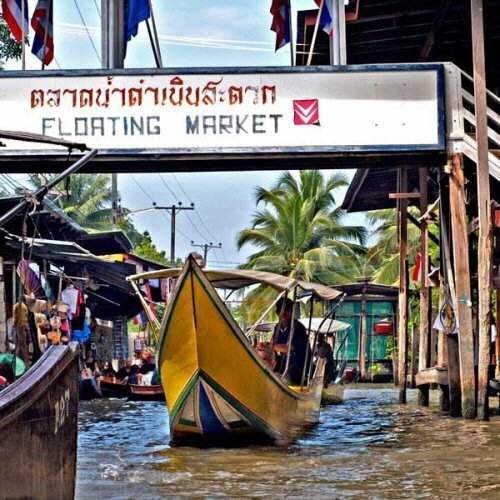 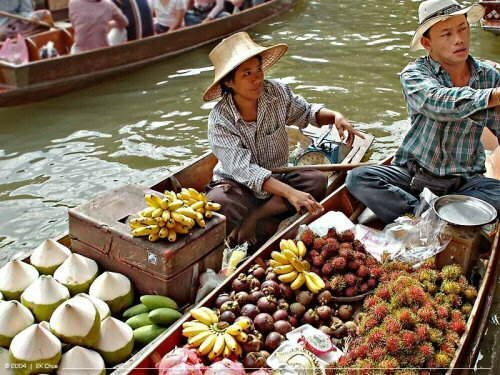 The Floating Market, approximately 400 metres from the Damonen Saduak District Office, operates every morning till noon. 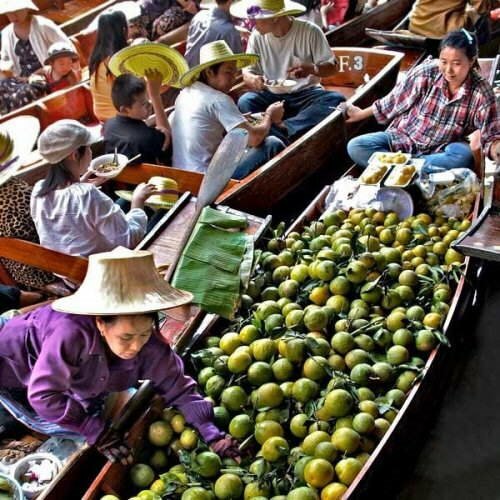 Boats can be hired for observing close-up canal side villages and boat vendors.